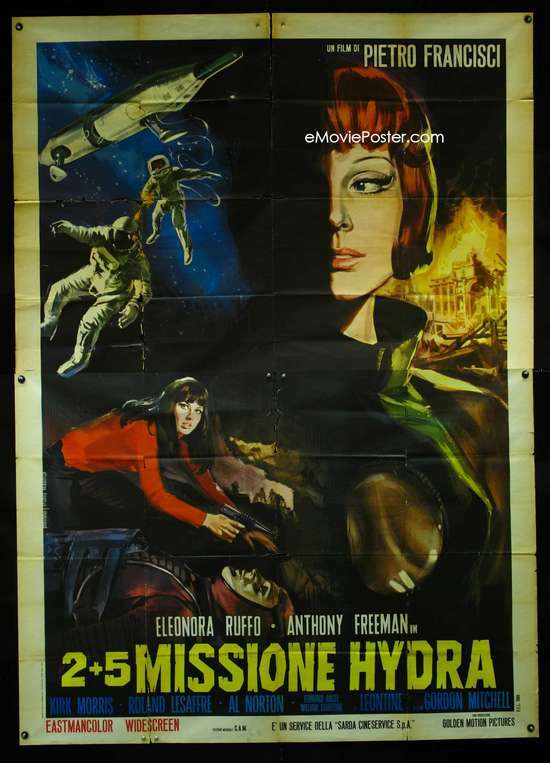 A while back, I bought this 50-movie set, Sci-Fi Invasion, for five bucks. That adds up to ten cents per movie. 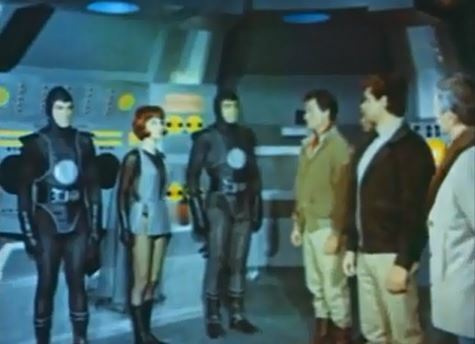 It’s still more bad dubbing over Italians with 1967’s Star Pilot. Here’s what happens: A crashed alien spaceship is discovered on the island of Sardinia. A group of scientists – and Louisa, one scientist’s plucky young daughter – investigate. The aliens, who look human, are about to return to their home planet, with the Earthlings along for the ride. Speculative spectacle: The aliens say they’ve come to Earth to monitor humans’ use of nuclear weapons, but that takes a back seat once everybody travels into space. The aliens show humans far-out new worlds, complete with ape monsters, while the humans teach the emotionless aliens the ways of love. Sleaze factor: Both Louisa and the female alien leader wear outfits that are, let’s say, suggestive. What the felgercarb? Two Chinese secret agents are along for the ride, and their broken English accents are horrifyingly offensive. 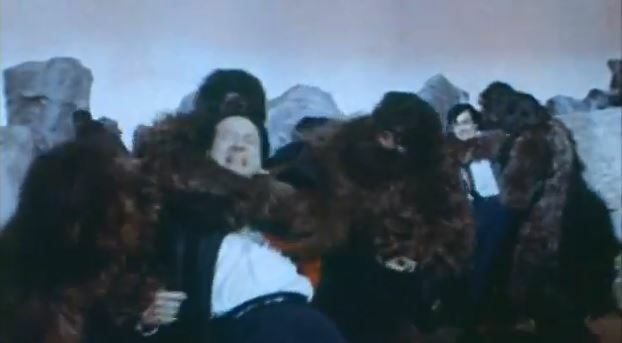 Also, the ape monsters have the worst ape consumes since A*P*E 3-D.
Microcosmic minutiae: Although made in 1967, Star Pilot had a U.S. theatrical rerelease ten years later, in the hopes of piggybacking off of 1977’s Star Wars popularity. Some exterior shots are lifted (stolen?) from the 1962 Toho film Gorath. Worth ten cents? Actress Leontine May, and her uncredited English dub actress, are very funny as Louisa, but everything else is pretty bland. Save your dime.